Top seed Tennys Sandgren also advances to the stage of the final eight. Six-foot, 11-inch Reilly Opelka took advantage of what he described as perfect court conditions to advance to the quarterfinals of the Las Vegas Tennis Open as the No. 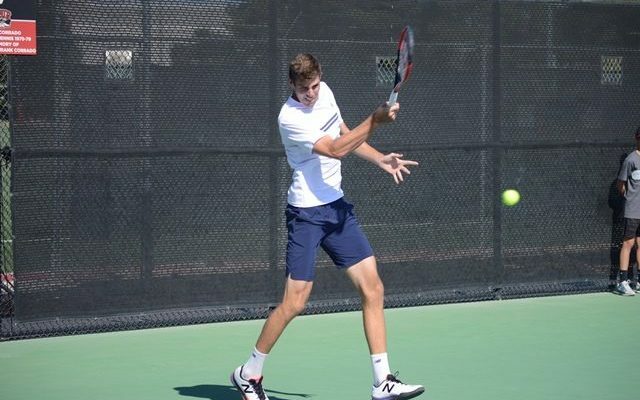 8-seeded Floridian beat qualifier Jared Hiltzik, 7-6 (5), 6-4, at the ATP Challenger Tour $50,000 Men’s tournament taking place at the Fertitta Tennis Complex on the campus of UNLV. “Last night was the first night we got out and had dinner on the Strip,” Opelka said, adding that fellow US-American Michael Mmoh has also joined them for some basketball watching and playing during the week. This entry was posted in ATP Challenger Las Vegas, ATP Challenger Tour and tagged ATP Challenger, Las Vegas Tennis Open, Reilly Opelka.